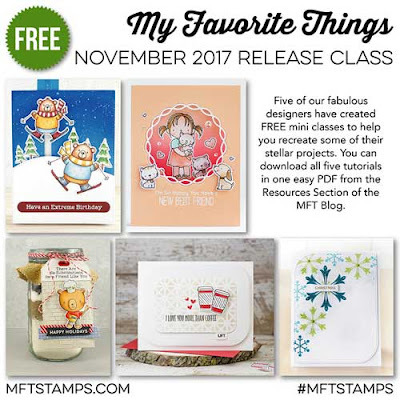 Don’t forget to check out the FREE MFT November release class where you can find a lot of inspiration and step-by-steps. I’ve made a tutorial to show you how to use the newest snowflake stamps and dies in different ways. Super adorable card! Beautiful coloring of the image also! Lovely coloring - just so pretty! And that stamp set is adorable, it's on my wish list for sure! So pretty and cute! Love your colors too. So adorable! I love the blue behind the snowflake. Love the images. Love the colors. Love the design. Enough said. OMG I can't say it enough!!! I love the Mandala die. And the little girl with her cat is just precious in the blues. That stamp set was the first item on my wishlist from this release. Your card has really made me love it even more. Beautiful coloring! I love your gal's dark hair and set atop the mandala, very pretty framing. Such pretty coloring! I love the subtle ink blended background too! Those sweet little images are so adorable and beautifully colored! Your card is just beautiful! She is so pretty & love the kitty. That's a wonderful card with a pretty image. Your colouring is great and the mandala die is a perfect background. Love the pretty background for this cute girl. Your card is totally beautiful Francine! I love the softness of the colors, the design and your wonderful coloring skills! Francine I love everything about your card. The soft colors the design and your amazing coloring is all simply beautiful. Thanks for the inspiration. Love love love this super cute card!! Beautiful background and coloring! Your colouring is always so beautiful Francine! The mandala creates an ideal background- especially for the sweet girl and kitten! Gorgeous card. Love how you used the Mandala die. Beautiful cards. The Mesmerizing Mandala really works great as a background and a stand-alone piece. Love the mandala as a background! Great release, love your projects! Especially the mandalla! Gosh you’re coloring is so so amazing! TFS! Great cards! I am loving the MFT mandala and I love how you used it on your card. Does it cut out pretty clean or is there a lot of poking? Adorable! Your coloring is perfection! Wieder so WUNDERSCHÖN coloriert, einfach fantastisch!!! Very beautiful card. Love the gorgeous backdrop that the mandala die creats. I love the New Best Friends set. It looks super cute with the Mandala background! Too cute! I love how soft the background looks too! Love this card and how you used the mandala as a background. Your card is incredibly cute !! Beautiful card!Love the depth you have created!Really pretty!Thank you for the inspiration! I love this new Birdie Brown stamp set and your wonderful coloring just brings all these adorable images to life! Beautiful card!!! So soft and sweet. Love it. Such an adorable card! I love the nice blue you used for your background. One of my favourite stamps in this release! The image is so sweet. I love the mandala diecut too. Such beautiful blending! Fab card! beautiful card designs. I love the mandala too and the furball friends is awesome! So sweet! Love your pretty card! The mandala die is awesome! So sweet! This is such a cute set! 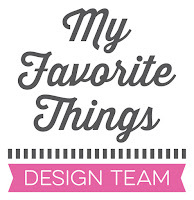 Your card and layout is just adorable! So pretty! Love the Sweet image & wonderful coloring! Oh my! What a darling card!!! Your colouring is adorable!!! So, so cute! I love how you did the background. Such cuteness. Great composition, colors, and attention to detail. Another great Birdie Brown set!! Love this! Such pretty colors!